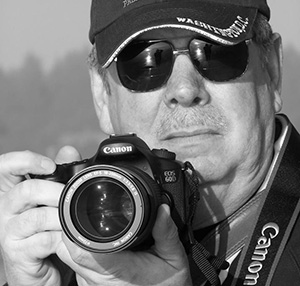 Lee LaFollette, a local photographer extraordinaire has generously donated his time for a workshop giving tips on how to take good pictures of kites. This will take place in the Activities Tent, located on the north side of the Bolstad approach across from the flagpole. There will be a Photo Walk conducted by Alexa King. Sign up will be at the Activities Tent and space is restricted. You will go with a registered kite flier and practice what you learned in the camera workshop! A “club camp” is a ground display, set up by a particular team. This can include ground art, banners, flags, tents, kites “at rest,” people, pets – use your imagination. Judging is based on color coordination, artistic merit, innovation and overall presentation. Judges probably can be influenced by the presence of things like chocolate and other edibles. During this event, different types of kites will be flown together in one area. The idea is to present pleasant visual display in the sky by putting up many kites of a designated type at the same time. Some of the categories lend themselves to allowing a visual pun to occur in the air. A point will be given for each kite flown that fits the category. Points will be credited toward winning the Top Team Banner. There will be 20 to 30 minutes dedicated to flying each type of kite, depending on the number of participants. Costumes are worth a point! Field crews will begin counting five minutes after the scheduled start time. Flyers are requested to fly their kites until the announcement is made that all kites have been counted. Ten minutes between categories will be allowed to provide time for assembling and disassembling kites. There will be a “Best of Show” award. Diamonds are Forever: Fly your diamond kites, big and small. Five bonus points to be awarded to the largest diamond kite on the field. Each “diamond” in the sky counts as 1 point with a maximum being 50. Delta Dawn & Hapi Together: All deltas and delta derivatives to the field, please. Is there a flower on your delta? That’ll earn you an extra point. Everyone wearing a hapi coat will earn an additional point. Pillow Talk: All soft “pillowy” kites are invited to the flying field -no sticks allowed! An extra point will be awarded to flyers brave enough to wear their slippers or a night cap on the field. Crazy: We’re crazy to think these would ever fly! 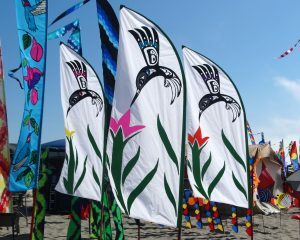 Bring out your circoflexes, freeform kites, asymmetrical kites, character kites, etc. An extra point will be awarded to anyone wearing a crazy hat. The craziest hat will be awarded 5 bonus points. Tail Enhances the Kite: Bring on the TAILS. The longest, brightest, most creative tails will get the most points. 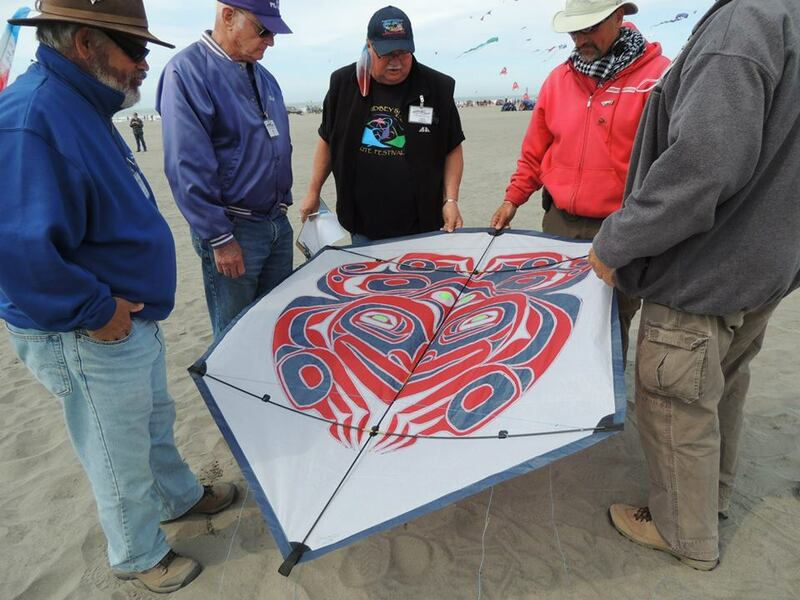 Tails that add to the style and design of the kite will earn extra points. Pieces / Patchwork: Some kites are just plain. These won’t be!! They will have lots of pieces, colors, designs,and applique. Maximum points will be awarded to the most creative and challenging use of fabric. The individual Rokkaku Battle will feature traditional shaped Japanese Rokkaku battle kites. 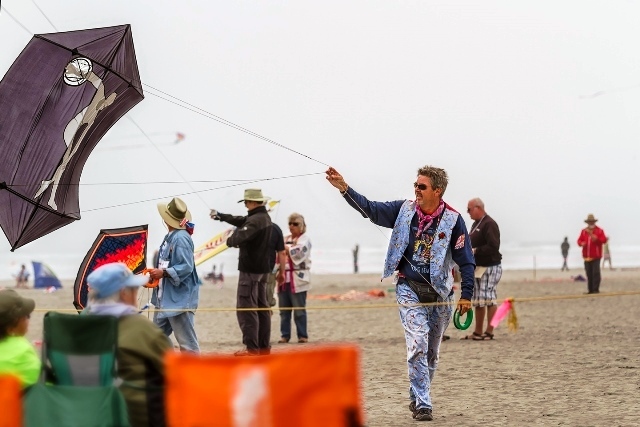 All participating kites may be no larger than four (4) feet. No Kevlar or cutting line may be used. 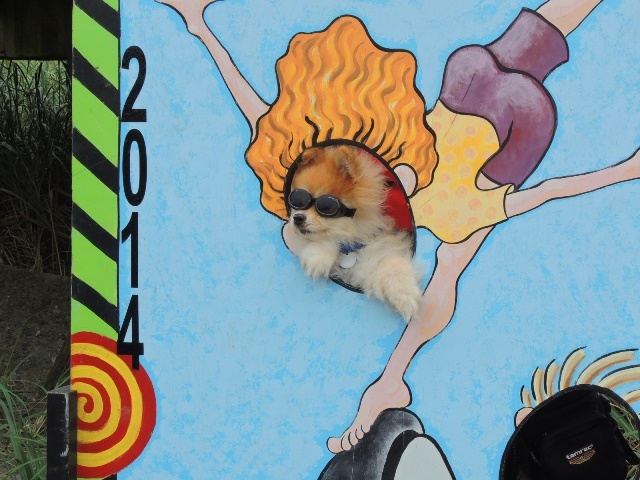 The judges may disqualify a kite if the construction materials appear to be unsafe. Other safety regulations may be announced if deemed necessary. Gloves must be worn; hard hats are optional. All kites and line are to be provided by the contestant. The battle will be run in as many heats as time allows. Line length will be limited to 150 feet. During competition, contestants may move about the entire field. A grounded kite must be removed from the field immediately. Kites may not be grounded by intentional physical contact between contestants or between contestants and an opposing kite or line. Only contestants and staff may be on the field during the battle. Every contestant will get 1 point for each kite that they down. This is a team competition, giving teams a chance to demonstrate their skills as a group. The objective is to knock or cut other kites out of the sky using your team’s kites. Gloves are required. AKA competition rules will be used. In order to ensure the safety and maximize the enjoyment of the teams, the following rules will be strictly enforced. A team has at least three members. They must fly a traditional Rokkaku (hexagonal) shaped kite. All team members must be on the flying field at the beginning of the competition. The addition of team members from outside the field will result in immediate disqualification and removal of the team from the field. All team members must be holding on to their kite line during the entire competition. Failure to hold on to the line will result in disqualification of the team. Team members must avoid body contact with opposing team members and their lines. Any obvious attempt to make such contact will result in disqualification. Sharp objects connected to the line will result in disqualification. Any attempt to cut an opposing team’s line with a knife or other sharp object carried onto the field by a competitor will result in disqualification. Members of teams that have been forced down or disqualified must leave the field immediately. They may not make any attempt to interfere with the remaining teams. Any team observed not engaging for a 30 second period will be given a 30-second warning. They will be timed by a judge and disqualified if contact is not made. Teams will also be timed for contact on a random basis. The judges may stop the competition at any time by sounding a whistle or horn. All competitors must stop in place at the sound. It is expected that this will only occur when an injury has occurred or an unsafe condition is felt to exist on the field. This event is usually run in several heats, with scoring determined by the finishing places of the teams in each heat. The event director will determine the number of heats based on the available time and the condition of the flyers. The judge’s word is final!